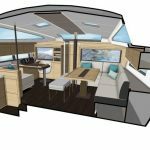 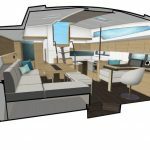 Allures reinvents his flagship and announces the launch of the Allures 51.9. 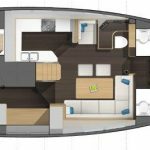 The plans of the new model will be presented at Boot Düsseldorf from 19th to 27th January 2019. 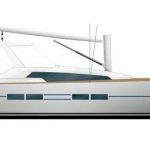 This 3rd generation sailboat, following on its big brothers, the Allures 51 and Allures 52, combines fifteen years of studies by the shipyard and feeback from the owners. 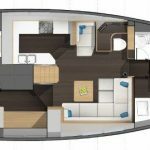 It incorporates comfort, performance, safety and manoeuvrability for a short-handed crew. 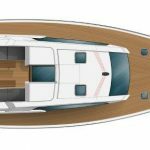 More than an evolution, this new blue water centreboarder is a revolution for the shipyard, both for the interior fittings and for the deck layout. 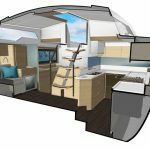 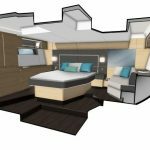 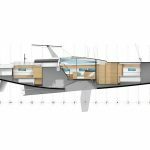 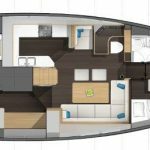 Allures 51.9 is available in 2 versions: a 3 cabins and 2 heads version with two large forward cabins in addition to the aft owner’s cabin, and a 3 cabins and 3 heads version with a large forward cabin and a cabin with bunk beds. 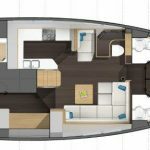 The saloon is available in lounge mode with a wide bench seat and a very comfortable chart table. 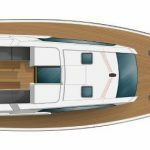 To receive images and plans of this new model, do not hesitate to contact us (capucine.descamps@glyachting.com – +33 6 22 41 58 19) or to come and meet us at Boot Düsseldorf (Hall 16 – Stand D40).